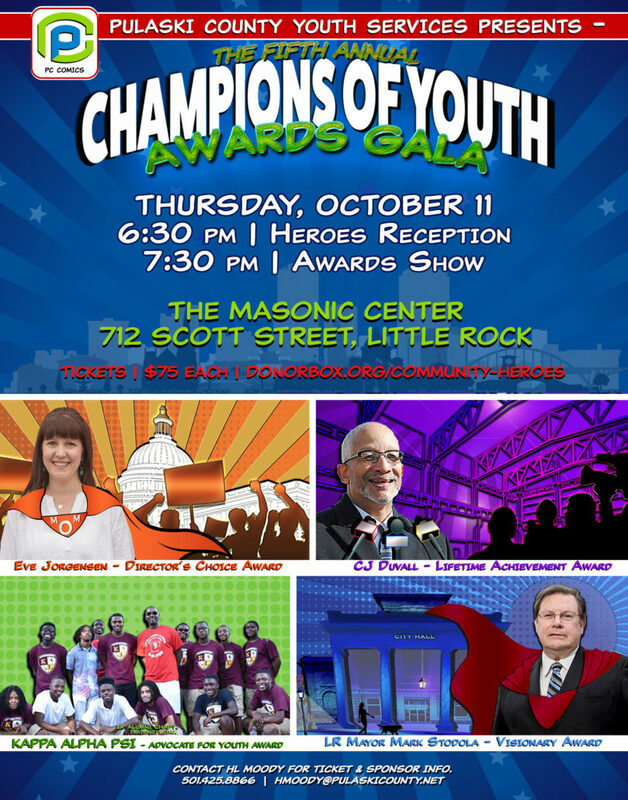 Pulaski County Youth Services will host ‘Heroes of the Community,’ the 5th Annual Champions of Youth Awards Gala on Thursday, Oct. 11 at 6:30 p.m. at the Masonic Center located at 712 Scott Street in downtown Little Rock. Proceeds from the dinner benefit the afterschool and out-of-school programs provided free-of-charge in underserved communities by Pulaski County Youth Services. This year’s award recipients are Lifetime Achievement Award honoree, C. J. Duvall; Advocate for Youth Award honorees, The Little Rock Alumni Chapter of Kappa Alpha Psi Fraternity, Inc.; Visionary Award honoree, Little Rock Mayor Mark Stodola; and Directors Choice Award honoree Eve Jorgensen. Speakers include County Judge Barry Hyde, event co-chair Judge Paula Juels Jones, event co-chair Theresa Timmons Shamberger, Little Rock Vice Mayor Kathy Webb, Rick Fleetwood, and Pulaski County Sheriff – Elect Eric Higgins. Youth Services board member, KTHV’s Dawn Scott will emcee the gala. 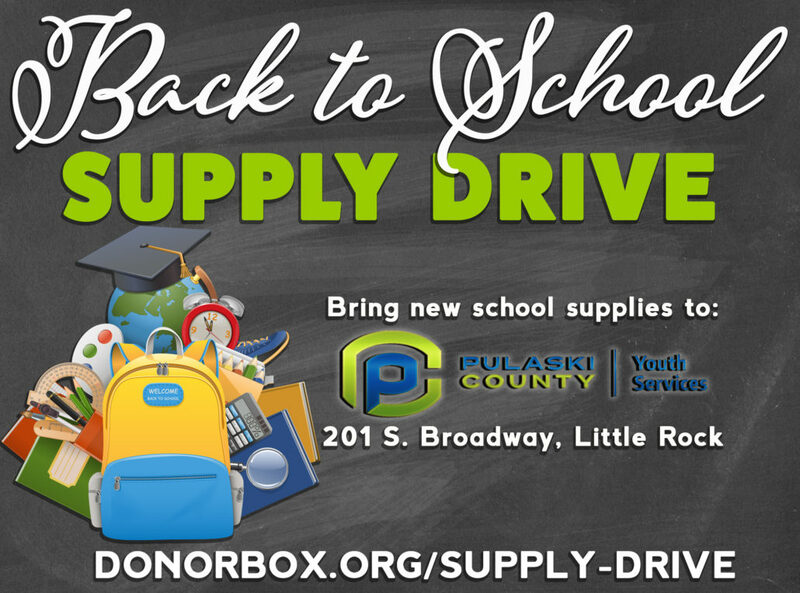 Pulaski County Youth Services provides year-round afterschool and out-of-school programs for students age 5 – 19. All Youth Services’ programs are free-of-charge; helping hardworking Pulaski County families save an average of $5,000 a year on childcare. In communities all over the County, our programs are keeping kids off the street and out of trouble. Annually, thousands of young people improve test scores, increase financial literacy, develop job skills, and build self-esteem in more than twenty Youth Services programs. Pulaski County Youth Services works to encourage and inspire the youth of Pulaski County. In collaboration with community partners, we seek to encourage academic achievement, build character, and refine healthy habits in our county’s youth. Pulaski County offices will be closed on Monday, Sept. 3 to observe Labor Day. No garbage routes will run on Monday but will resume Tuesday and run one day late through Saturday. The Sanitation office will be closed on the Monday. Pulaski County will adopt new floodplain maps this fall for areas of Unincorporated Pulaski County near Kanis and Denny Road. Adoption of these maps is necessary to maintain Pulaski County’s accreditation in the National Flood Insurance Program. Maps will be available until the close of November. For questions concerning the proposed changes or to view the proposed map amendments in person contact the Pulaski County Planning and Development Department at 501-340-8260. As a former securities investor and owner of a lumberyard, now retired Pulaski County Public Works Director Barbara Richard is no stranger to difficult and complex projects. However, during the Great Inflation of the 1970s, the lumberyard closed making life even more complex. Richard held a few office positions, even becoming a decorator for JC Penney, which she loved. Following her brief time with the department store, Richard found her way to Pulaski County Public Works in 1984. She began as an administrative assistant in the sanitation department, followed by a promotion to sanitation assistant director in 1991. She moved up the ranks becoming a purchasing attendant for road and bridge to assistant director and director in 2001. As director of Road and Bridge and a woman, she recalls how difficult it was. One day she overheard them talking and told them that if they were going to continue to talk bad about her that she would pipe in classical music all day, every day. They all laughed, needless to say, the chatter ceased. Some of her best memories are of the former Public Works Director, Sherman Smith who passed away in 2014. When Smith got sick, it was hard to watch him grow sicker. She said he refused to give up and worked every day until he was unable to work. After he passed away, Richard was appointed to acting director of Public Works, where she managed a workforce of approximately 150 and a budget of $27 million. She said overall, it takes being a multitasker and understanding that the f-word [funding] will be a major factor in planning. “Funding depends on who’s in office [D.C.] and how much funding is in the Federal Transportation Bill each year,” she said. “The Pulaski County Public Works is in competition with other public works departments in Central Arkansas that also have great projects”. 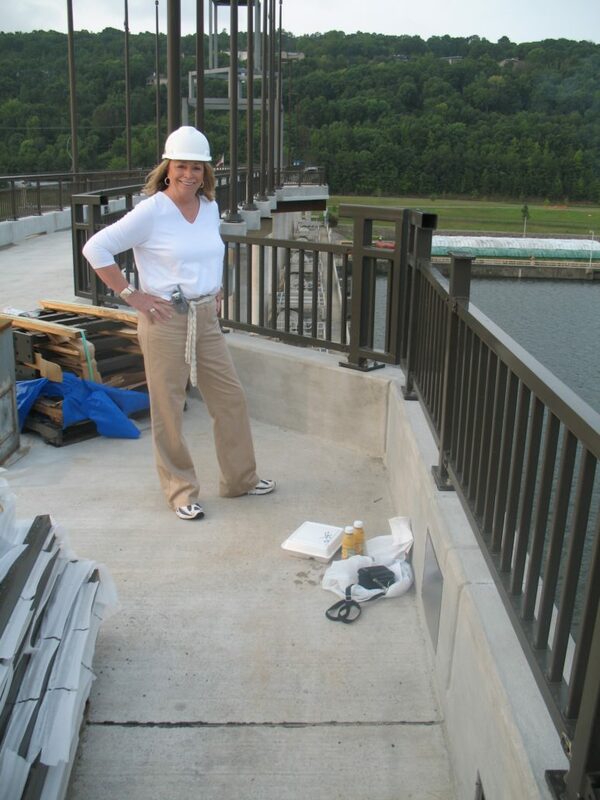 During her tenure as Road and Bridge Director and Public Works Director, Richard managed hundreds of projects that total more than $100 million including the Two Rivers Bridge, Two Rivers Park—and the Big Dam Bridge. Richard and Smith managed to collaborate with several agencies to complete the bridge including the City of Little Rock, City of North Little Rock, Federal Highway Department, U.S. Coast Guard and the Arkansas Department of Transportation. At completion, the Big Dam Bridge, including the decorative lights was a $13 million project. With the many projects under her belt, she does have a few things that she feels have been left undone. Pulaski County and the Progressive League of College Station will host a ribbon cutting ceremony for the new sports complex Wednesday, July 4 at 9 a.m. at 5816 Frazier Pike/Sloane Drive. It has been 21 years since a tornado ripped through College Station, claimed lives and destroyed multiple homes and the ballpark. Since 1997, the championship-winning youth baseball team has been without adequate facilities for games and practice. 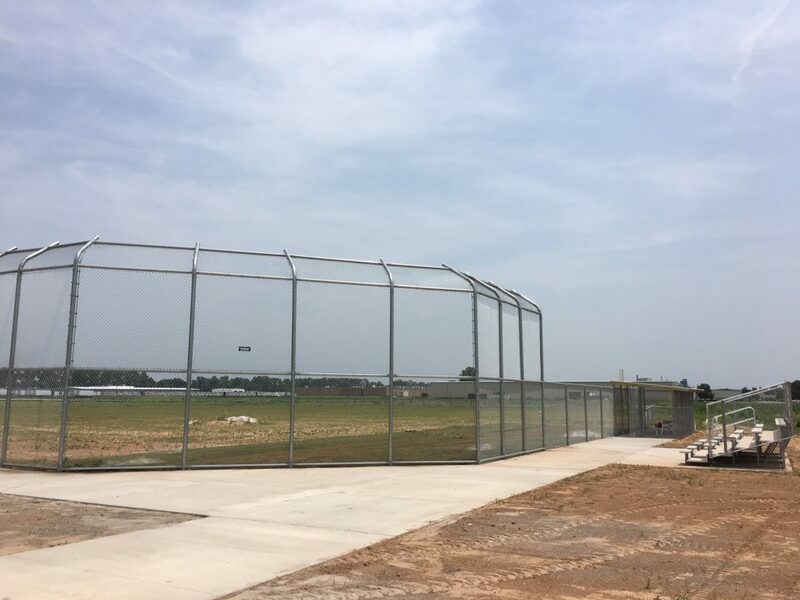 The team will now host games in a five-acre complex that includes a regulation-size baseball field, complete with dugouts, bullpens, perimeter fencing, bleachers, asphalt parking lot, landscaping and irrigation. The seating capacity is approximately 100. The new construction project was made possible through fundraising efforts and federal grants that totaled approximately $400,000. The progressive league is in phase 2 of fundraising to build a concession stand, a scoreboard, restrooms and ball field lighting.